Enjoy Louisiana like a local with a journey through the bayou followed by a delicious Cajun lunch. 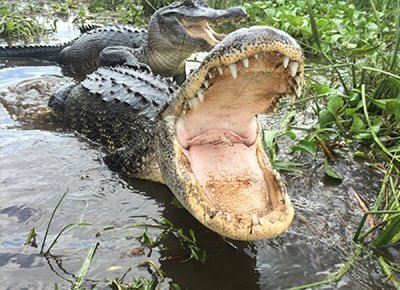 Who knew that a relaxing and educational swamp tour can be found just minutes from downtown New Orleans? You're closer than you think to a day of adventure in the backwaters and bayous. Experience pure Louisiana, only 25 minutes from the French Quarter. Enjoy a delightful bayou tour with our local Cajun guides, where you will come face to face with the beauty and beasts of nature. See the protected, lush wilderness of Jean Lafitte National Historic Park and Preserve from the comfort of a large, flat-bottom boat. After your tour, you'll enjoy a delicious, traditionally Cajun lunch from local eatery Restaurant Des Familles. Overlooking the bayou, you can apply your new knowledge of the swamps while enjoying Cajun favorites. 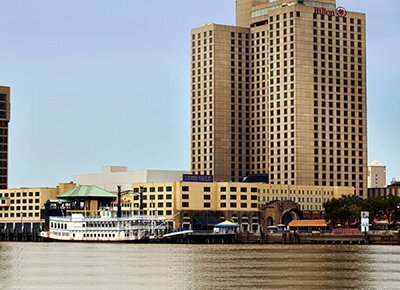 Jean Lafitte offers transportation from eight convenient downtown locations, or you can meet us there! There is plenty of parking is available for cars, motorcoaches and school buses. For your convenience, Jean Lafitte Swamp Tours are handicap accessible. Jean Lafitte Swamp Tours have been featured on Showtime, Fox Sports, Entertainment Tonight, Bravo, and more. Bring your camera and capture wildlife at any time! Still have questions? Ask the Captain! 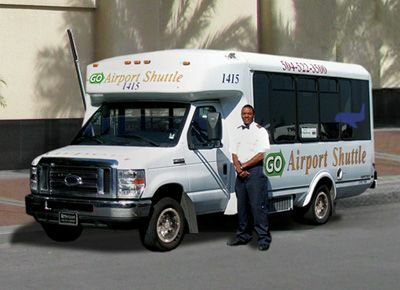 Transportation: Take your own transportation or let us drive you! Choose hotel pick up to add when booking. Please present confirmation to the driver before boarding your bus. For help choosing a hotel pickup location see the map above or click here to see our suggestions. All reservations must be pre-paid by credit card and are subject to availability. Any cancellation requires 24-hours notice for full refund. After finishing your transaction, print out your receipt/confirmation email as your ticket for the tour. 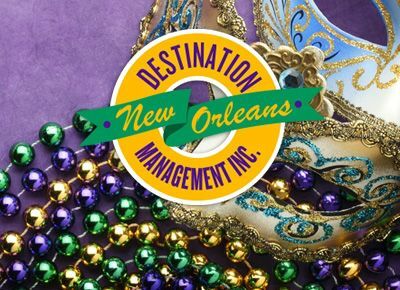 If you book less than 24-hours in advance, please call (504) 529-4567 for availability.